Our last page centred on the established Church, while below are arranged, in no particular order, the other denominations present in the City, demonstrating that Lichfield has a rich spiritual culture that comes together as a group known locally as Churches Together. Holy Cross and St Peter's are the two Roman Catholic churches in Lichfield, and at opposite ends of the City. Holy Cross is situated in Upper St John Street, under the railway bridge as you go south out of the City, and nearly up to the top of the hill, on the right, just before you get to King Edwards - the old boys grammar school, now comprehensive and co-ed - didn't say a thing. St Peter's lies on the northern side of the City, and you go up Beacon Street, past the Cathedral, turning right at the top of the hill at the Little Barrow Hotel up Anson Avenue, over the hill and half way down the other side on the right. 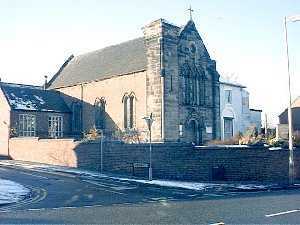 Wade Street Church was a United Reformed Church until 1997 when the Baptist Association were looking to plant a church in Lichfield, and in the end were welcomed and were united with the United Reformed Church in Wade Street, which now calls itself Wade Street Church. 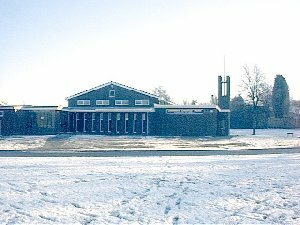 An additional suite of school rooms has now been built at the rear as a response to a growing membership - a church suffering growing pains. Serves tea, coffee and biscuits after morning worship on a Sunday. See their web site - click the picture to visit. 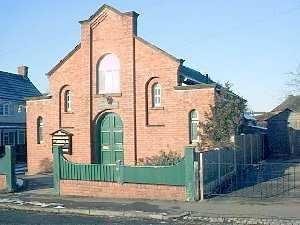 The Methodist church at the City end of Tamworth Street, at its junction with Lombard Street has undergone a serious redevelopment a couple of years ago and now have additional schoolrooms and meeting rooms to cope with their growing membership. Another church with growing pains. 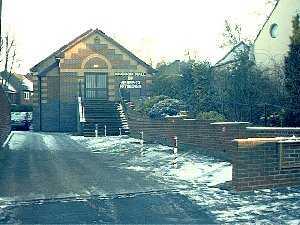 This is the home church of the Lichfield Circuit which also ministers to Shenstone and Alrewas Methodist churches. Serves tea and biscuits after morning and evening worship on a Sunday. 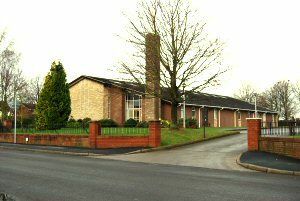 The Mormon Church, or the Church of Jesus Christ of Later-day Saints is a fairly new and fine building in Purcell Avenue on the north side of the City, and at the centre of a large housing area and with ample parking, unlike some of the other City centre churches, where parking is at a premium. 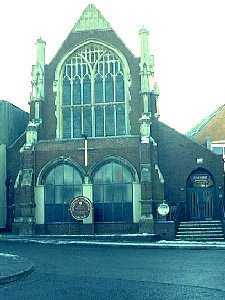 The Christadelphians meeting hall is near the top end of Station Road near the Lichfield City Railway Station and presents a fine picture on a bright January afternoon. Cruck House is in Stowe Street which is a continuation of Lombard Street immediately north of the City centre. 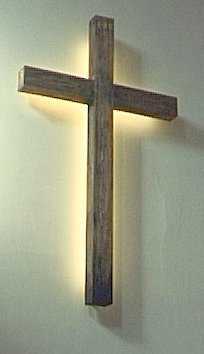 It is included here because the Society of Friends, or the Quakers as they are known used to meet here. 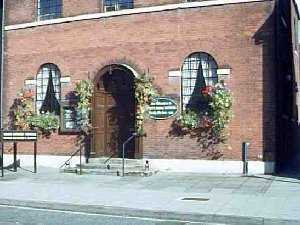 Currently they are now meeting at the Martin Heath Hall in Christchurch Lane, below. Cruck House is a most interesting part of Lichfield's history. Back in the mid 50's or thereabouts, much of Stowe Street was being modernised, and many of the old buildings were demolished. During the demolition process, this jointed Cruck and part box framed house was revealed from within the outer cladding of a building whose outer walls had obscured the framework supporting it. Luckily someone spotted it even during the demolition process and called a halt, and so we have this rare specimen of a building which probably originated in the fourteenth or early fifteenth century now fully restored, and still in daily use as a meeting house and learning centre. There used to be two main types of timber building, the box frame construction, and cruck. Box frame was, as the name suggests, a construction of mainly pre-fabricated sections that were made up, and then errected on the site to form the shell of the building, with the roof supported on beams carried on to the top plates - or wall plates on the upper frames, thus transmitting the roof load down to the ground via the framework below. Cruck construction was mainly made up in-situ, and the roof load was carried directly from apex to the ground via pairs of arching beams such as you see at the exposed end of the timbered house illustrated above. This building is what is known as jointed cruck, since the main beams are jointed instead of being in one piece. All very boring stuff unless you are into old buildings, but fascinating if you are. 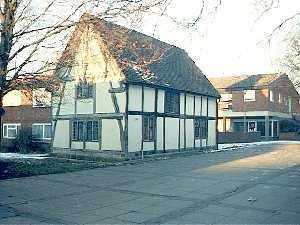 It is not the only example of a cruck style building in Lichfield, because when an old pub was demolished on the corner of Frog Lane and St John Street, cruck beams were visible in the party wall between the old pub and the building immediately to the north of it. This time however, the developers were not so keen to have it noticed and it was swiftly demolished and removed, although not before someone was seen photographing the pieces before they were removed, so perhaps someone had a heart. Back to what these pages were supposed to be about, and if I go off into reveries of historic buildings again, please ignore me and maybe I will go away. Emmanuel Christian Centre is a lively church, again on the north side of the City on Netherstowe Lane before you get as far as Eastern Avenue, and on the right going out. 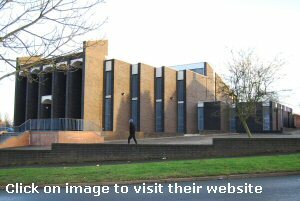 Kingdom Hall of the Jehovah's Witnesses is in Lombard Street, north of the City centre, and like the other places of worship in the City centre, is a little short of parking, but there is plenty available in the public car park opposite, towards Stowe Pool. If your place of worship has been left out of these pages, or you are aware of an orphan, please get in touch from the contact page so that I can remedy.